Living Style porcelain pavers from MSI feature a subtle pattern reminiscent of natural stone with a matte finish. They are available as 24x24-inch pavers for indoor-outdoor use. 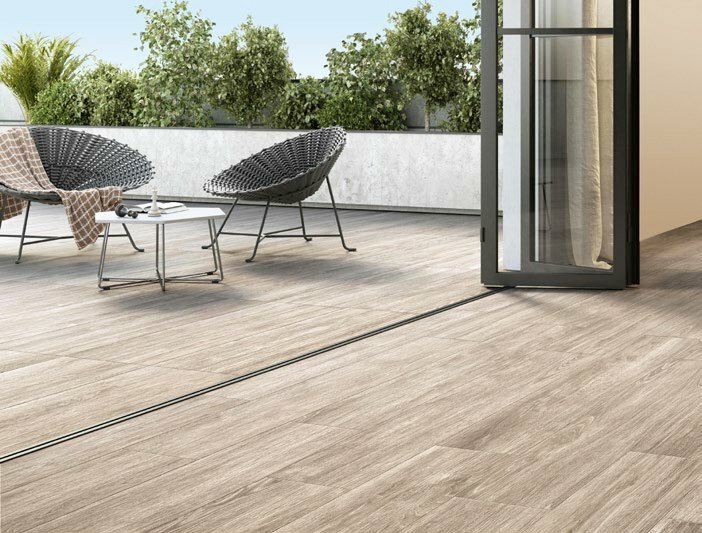 Natural Feeling porcelain by NovaBell is a wood-effect tile that can also be used indoors or out. Various colors of oak parquet. If there is one truth in life it's this: what we hope will happen and what really happens are usually not the same thing. This is especially true when it comes to flooring. Too often, homeowners drop a considerable amount of money to install a beautiful floor, but they are disappointed when these floors just don't hold up to the realities of life: muddy shoes, kids and dogs racing through the kitchen, and stiletto heels dancing away at the holiday party. You're left with floors that scratch, warp, wear out, or dull over time. Thankfully, new advances in technology and style have had an impact on flooring product improvements over the past several years, providing homeowners with options that not only look good but also provide the performance to withstand the realities of everyday life. 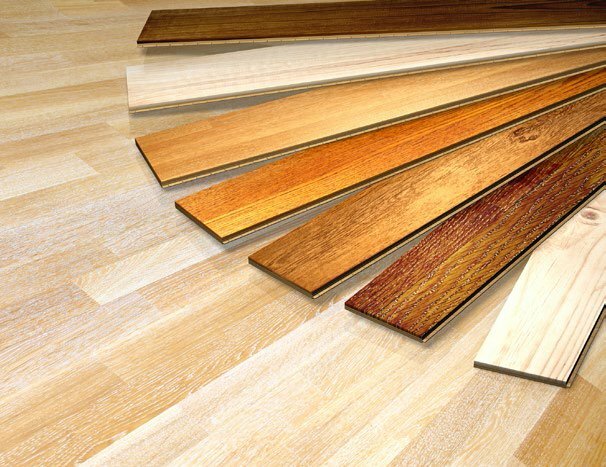 Since new flooring entails a substantial investment and its presence can impact the entire house and everyone living in it, choosing the right materials can be a formidable challenge. While trends that influence style may come and go, trends that influence lifestyle are broader and often last decades. For this reason, it's a good idea to look at those lifestyle trends when selecting home-improvement materials such as flooring. The Eichler architecture has always emphasized the indoor-outdoor lifestyle, and this trend continues today, as more and more designers are talking about connecting homeowners with nature. As we spend more time outdoors, we want to bring the idea of green spaces into our daily living situation—whether we're relaxing with a book on the patio or binge-watching movies indoors. The right flooring can help bridge the two areas, providing one layer of this connection. 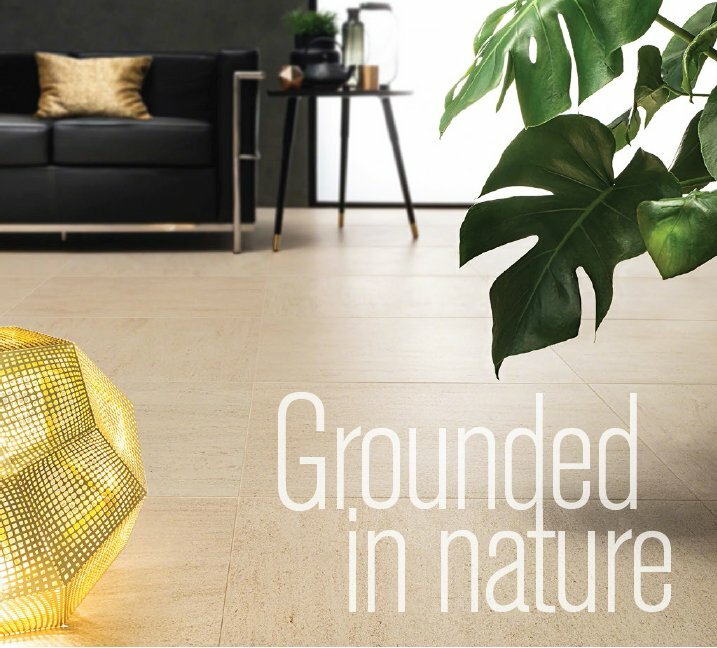 Enveloping our spaces in materials that are natural, or at least present a natural appearance, help us to connect with the outdoors while also providing durable solutions for everyday living. Here are some top picks.